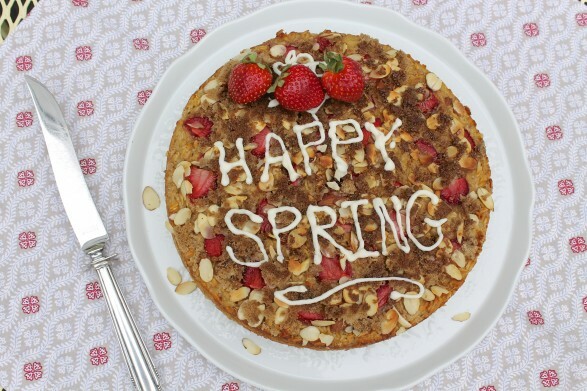 Throw Back Thursday — Strawberries & Cream Baked Oatmeal…and Happy Spring! Recently, I began to dig into the archives of this blog for a special “Throw Back Thursday” meal each week on The Fountain Avenue Kitchen Facebook page. Sometimes, I am so focused on sharing new recipes in this space that I neglect the old favorites. Occasionally, it is one of my kids who asks for something that we haven’t eaten in a while. Other times, something random sparks a memory or a craving. And sometimes, I take a few moments to sit down with my ancient recipe box and flip through the cards. That is always such fun and a source of rediscovery! After a few weeks of posting these old favorites, it occurred to me that I should not just do it on Facebook. So, I will keep a running log of my weekly picks here, too. 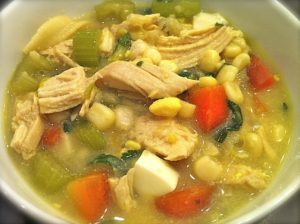 I would love to read your comments if you make these recipes or if you have in the past. 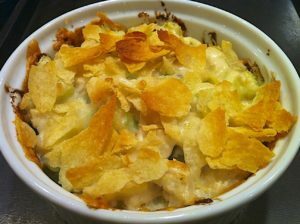 As always, feel free to share your favorite “oldies but goodies.” It is always a delight to pass along a recipe that has served someone so well for so long. Strawberries & Cream Baked Oatmeal…a family favorite that works beautifully with frozen berries when fresh aren’t available. 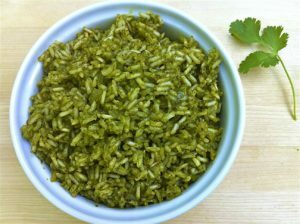 The flavor of Green (Brown) Rice is excellent…my kids actually request this healthy dish! 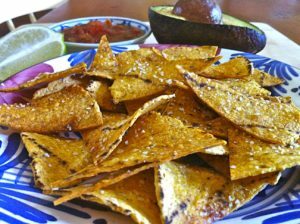 Salted Lime Baked Corn Tortilla Chips are a copy cat version of my store-bought favorite. 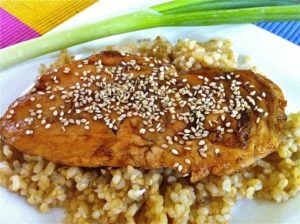 Seared Sesame Chicken uses basic pantry ingredients and can be prepared in minutes! 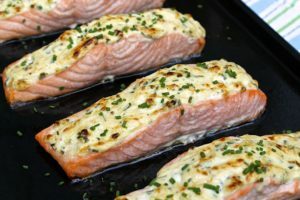 Parmesan Crusted Salmon is one of the first seafood meals I made for entertaining, yet it is easy enough for a delicious weeknight meal. 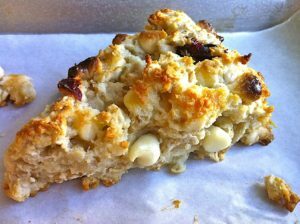 White Chocolate Cranberry Scones are whole grain and are equally delightful with my gluten-free flour blend. 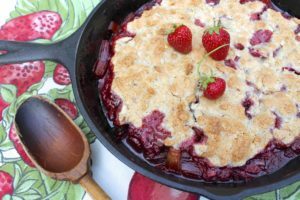 Strawberry Rhubarb Cobbler — I am thinking this seriously yummy topping would be amazing for an apple crisp. It’s made with oats and almond flour and is gluten-free! 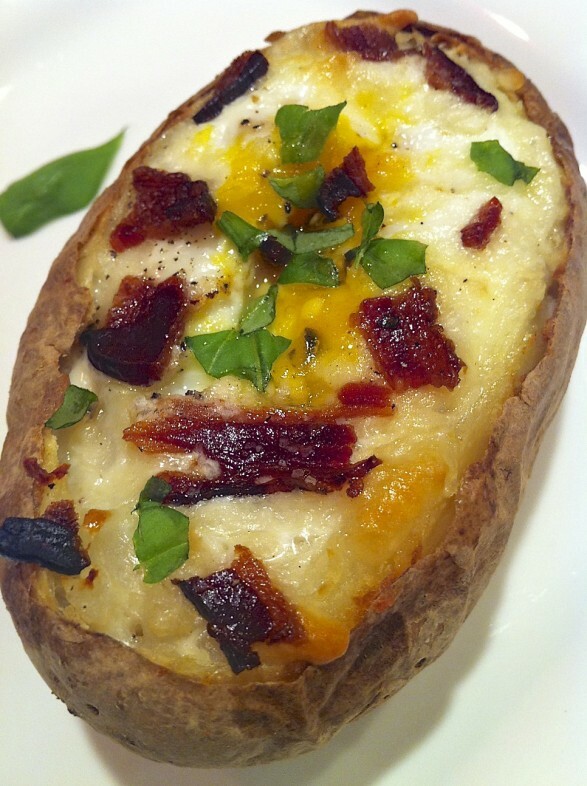 Baked Egg in a Potato — Shockingly satisfying and a meal unto itself! 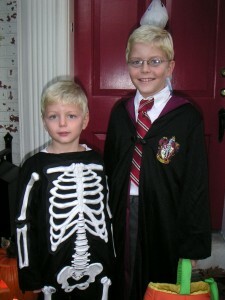 Not to be missed, Harry Potter and a skeleton from 2007 were the featured dish on Halloween! 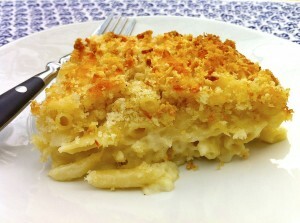 I’m not sure where I got the recipe I use, but I’ve been making my macaroni and cheese for 30 years layering pasta, grated cheese and creamy bechemel sauce and then baking until bubbly. I love the pockets of white sauce and melted cheese. It’s a family favorite! Creamy and bubbly? That just sounds incredible…and 30 years is an excellent track record! 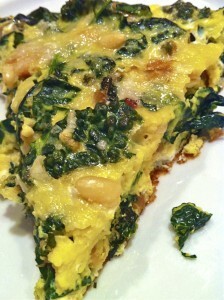 We eat the Parmesan Crusted Salmon at least every other week and even my kids love the frittata with the kale, pancetta, etc. Keep the great recipes coming!